LG Optimus F6 D500 user guide manual for T-Mobile – LG Optimus F6 or also known as LG Optimus F6 D500 for T-Mobile was released on September 2013. LG Optimus F6 is simple fairly lightweight smartphone with reliable budget compare with others powerful smartphone on the top ten. LG Optimus F6 D500 for T-Mobile come with LG Optimus 3.0 interface includes some feature software beside preload apps from the carrier. Another points for this new prepaid smartphone, LG Optimus F6 or also known as LG Optimus F6 D500 offering bright and responsive color display for its users. 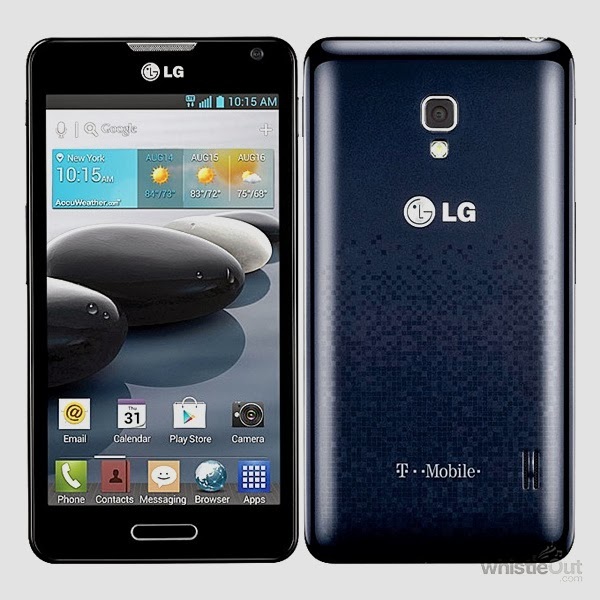 LG Optimus F6 for T-Mobile equipped with specifications and key features such as: 127 x 65.8 x 10.2 mm (5.0 x 2.59 x 0.40 inches) in dimension with 124 g (4.34 oz) in weight, 4.3 inches IPS LCD capacitive touchscreen display 16 million colors 540 x 960 pixels screen display with multitouch support and Corning Gorilla Glass 2 protection, microSD up to 32 GB, 4 GB internal storage, 1 GB of RAM, 5 megapixel of rear facing camera with multitouch and LED flash, 1.2 megapixel front facing camera, run Android 4.1.2 Jelly Bean operating system, powered by 1.2 GHz dual core Qualcomm MSM8930 Snapdragon processor Adreno 305, Li-Ion 2460 mAH battery with up to 408 hours of stand-by time and up to 10 hours of talk time. LG Optimus F6 D500 user guide manual for T-Mobileavailable to download in pdf file format with 3.17 MB size and contains of 134 pages. Pdf user guide of LG Optimus F6 D500 also available to download in Spanish language version with 3.13 MB size and 146 pages as another option for its users. LG Optimus F6 D500 user guide for T-Mobile contains of explanation about key features, add functions and some essential settings.